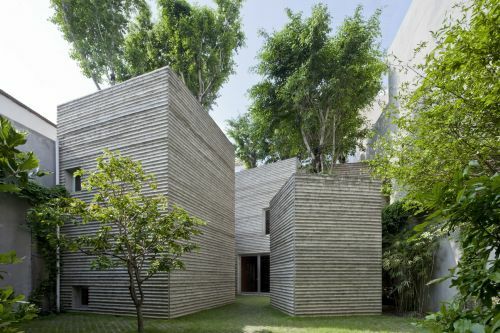 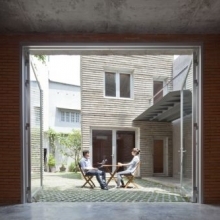 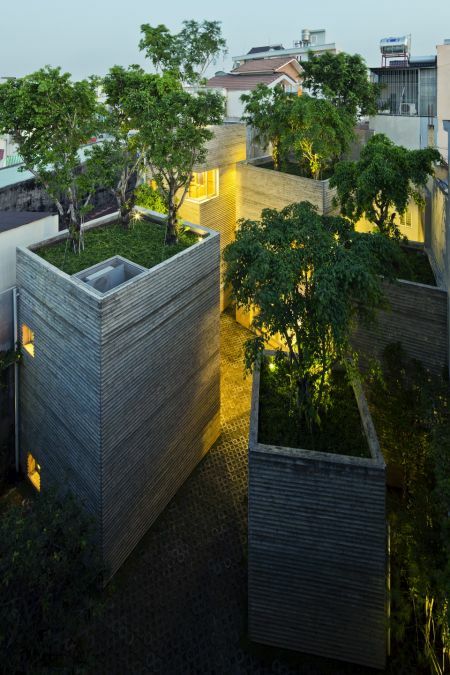 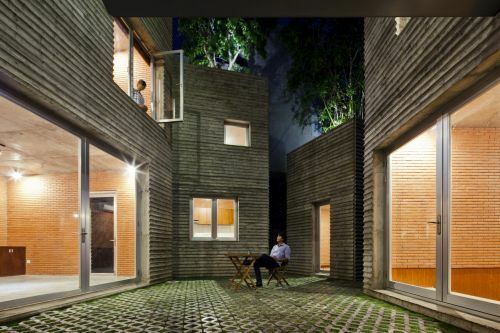 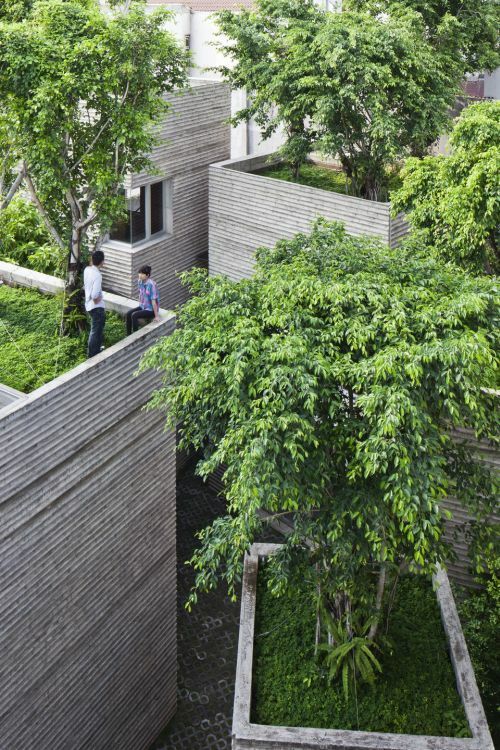 Beautiful project “House for Trees”, designed by Vo Trong Nghia Architects in Vietnam, tries to bring back green life in Ho Chi Minh City. 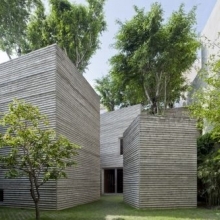 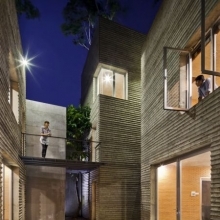 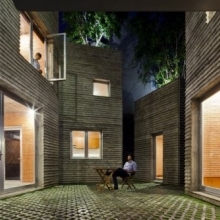 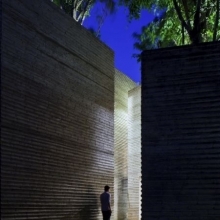 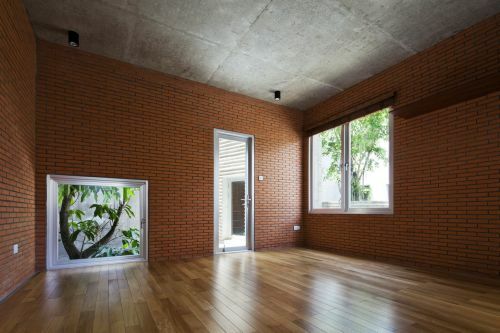 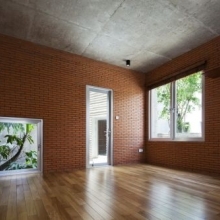 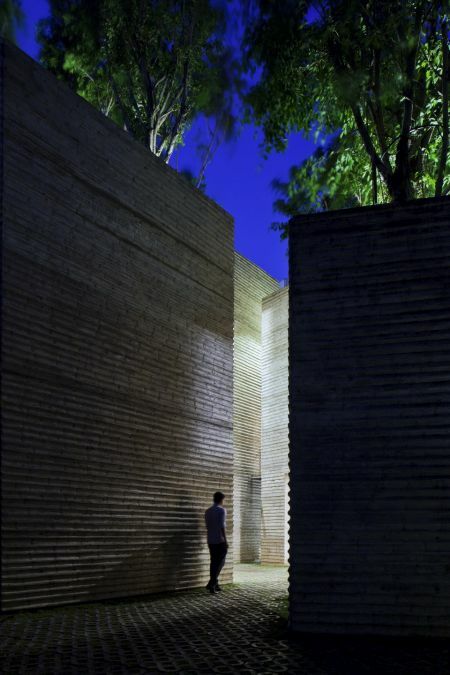 “House for Trees”, a prototypical house within a tight budget of 155,000 USD, is an effort to change this situation. 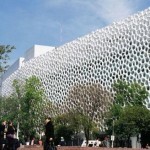 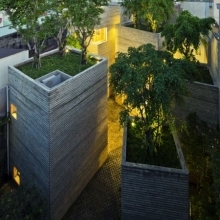 The aim of project is to return green space into the city, accommodating high-density dwelling with big tropical trees. 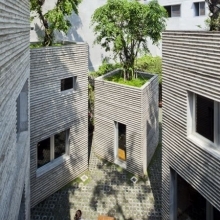 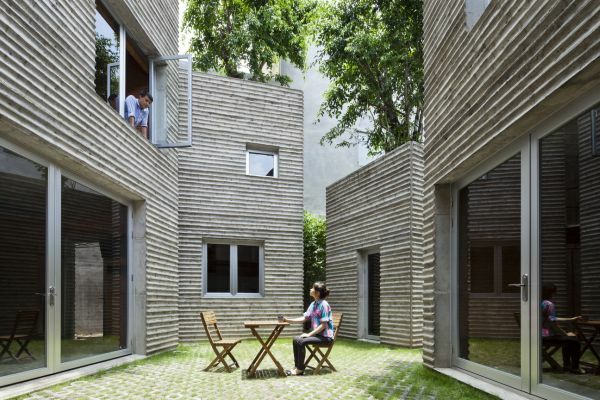 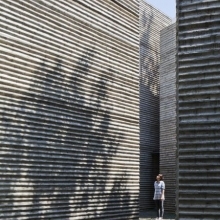 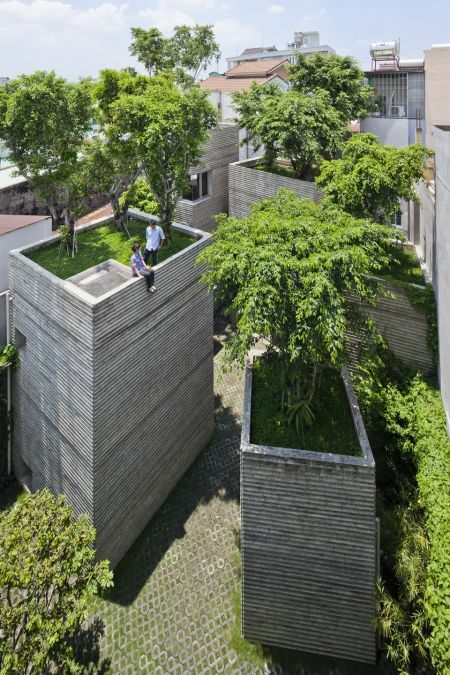 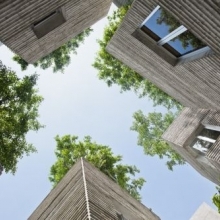 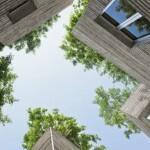 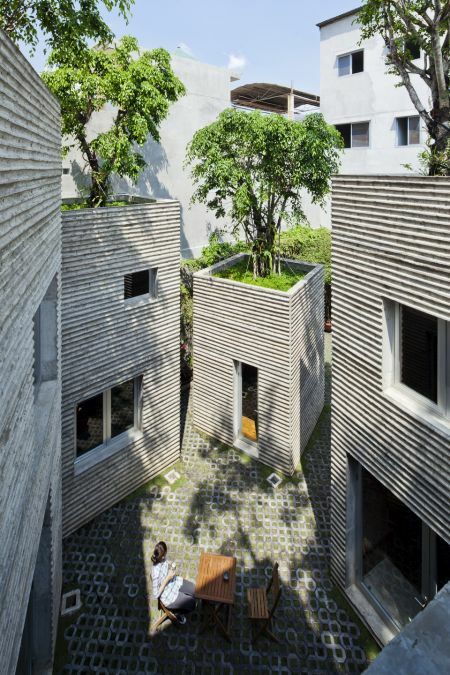 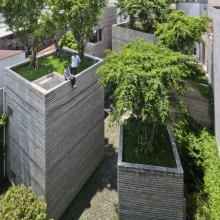 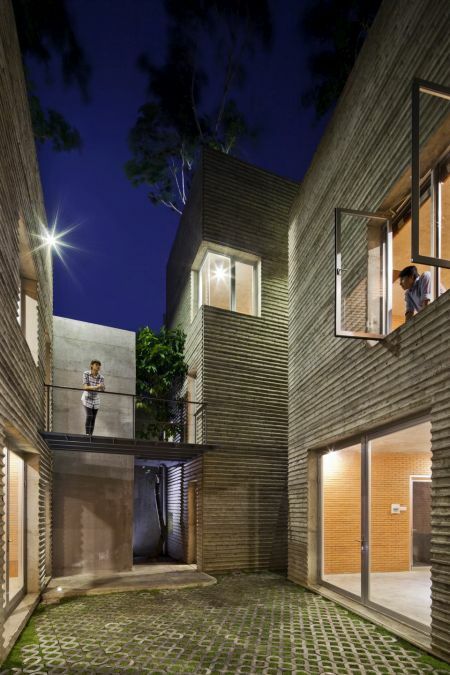 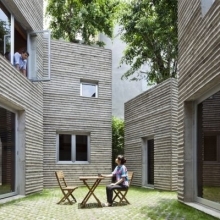 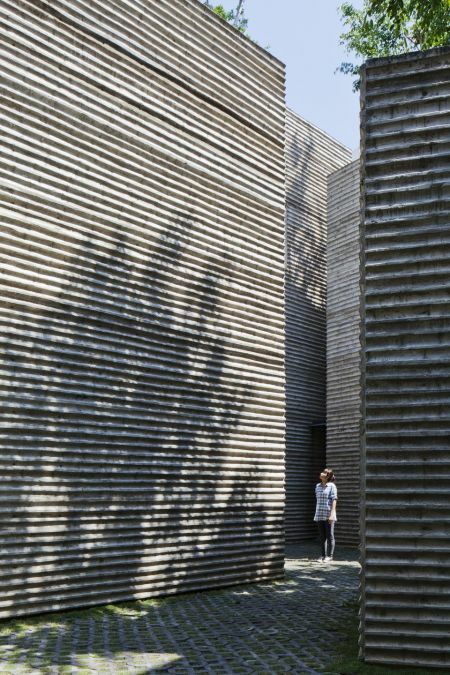 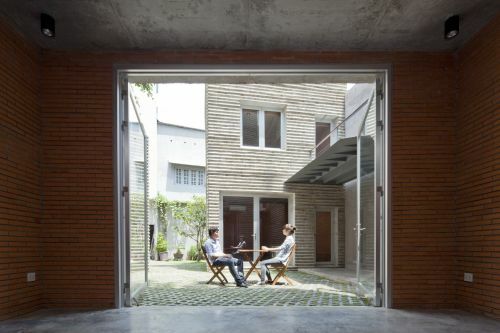 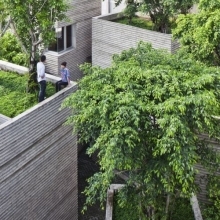 Five concrete boxes, each houses a different program, are designed as „pots” to plant trees on their tops. 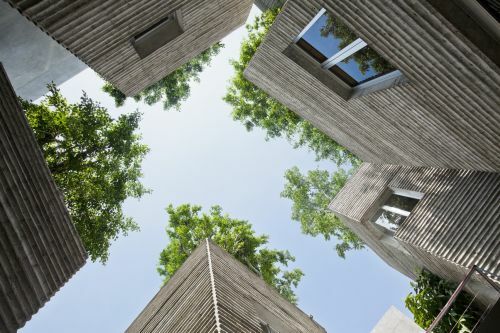 With thick soil layer, these “pots” also function as storm-water basins for detention and retention, therefore contribute to reduce the risk of flooding in the city when the idea is multiplied to a large number of houses in the future.